Two of my favourite vendors at the Halifax Seaport Market have their bases of operations on the Sunrise Trail: Lismore Sheep Farm and Seafoam Lavender Farm. I planned daytrips around both of these businesses and looked for other small shops and attractions that interested me nearby. 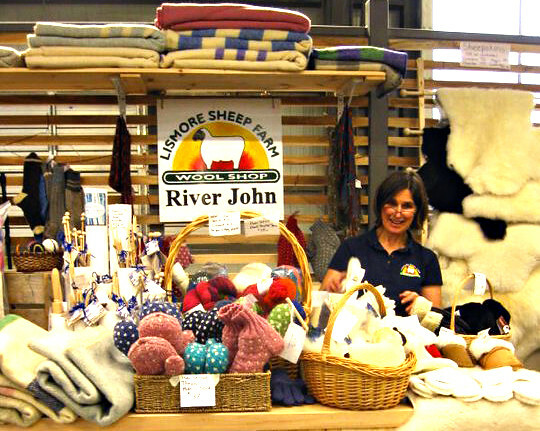 At the Halifax Seaport Market, the folks at Lismore Sheep Farm have a lovely selection of sheepskin products, fleece, yarn and other wool products, as well as their own line of wooden knitting needles. They’re always friendly, helpful and can tell you a lot about their products. 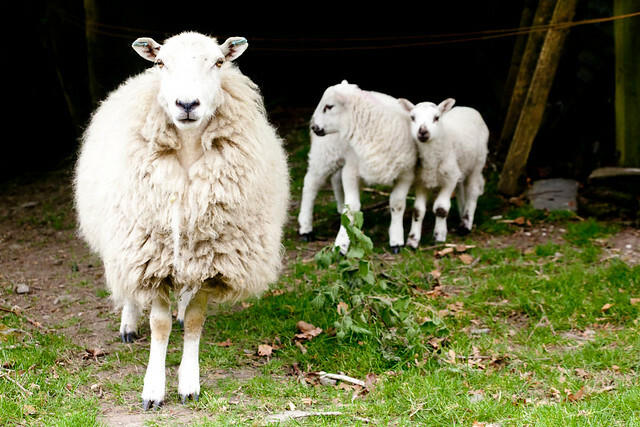 I was tickled to be able to visit their barn in River John and see some of the sheep whose wool I had been using to knit clothes and gifts for friends and family. There’s even a small interpretive display where you see wool in different stages and can try carding. Their shop had all of the things at the market and a LOT more. Being a city gal, it was novel (also awesome) to find such a well-stocked yarn store in the middle of the country fields where the sheep are grazing. Later, I visited Seafoam Lavender Farm operation. The day I went was a quiet one, so I was able to have a nice chat with the operators. I was lucky enough to be there during a u-pick time during the summer, so I was given a brief instruction on how to properly trim sprigs of lavender from the mature plants. 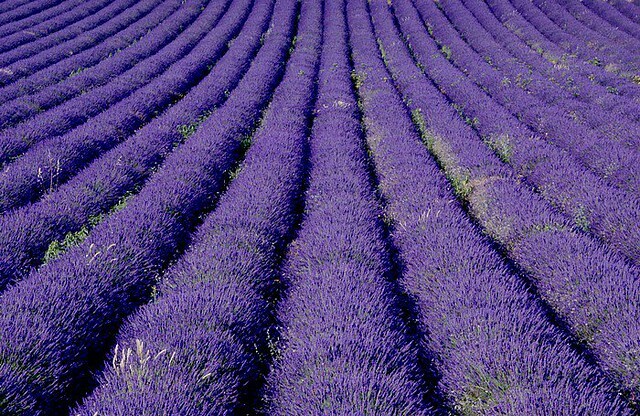 Armed with that knowledge, a loaned basket and scissors, I happily wandered the rows, clipping as I went along, surrounded by the heavenly smell of sun-warmed lavender. They also had a weather-protected stall onsite, so I was able to stock up on a few other lavender items that they produce while paying for the bunches of flowers I’d picked myself. We spent four lovely summer days enjoying local attractions, eating at small family-owned restaurants, buying roadside fruit and veggies and visiting small shops in the area all around Tatamagouche. 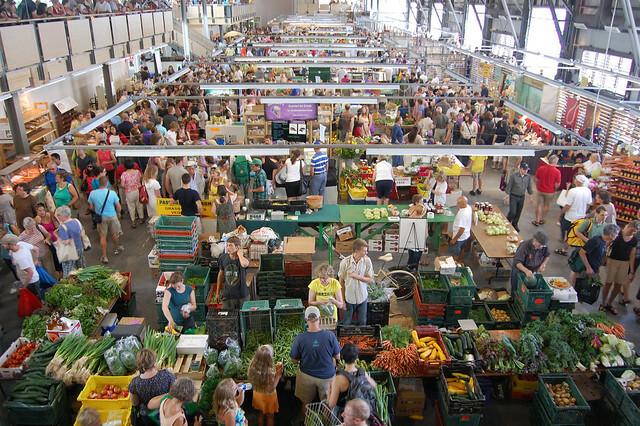 It had been more than 15 years since I’d been to the area, but I doubt that I would have chosen it for a vacation destination had I not known about those two Halifax Seaport Market vendors. Makes me want to plan a trip myself!! !